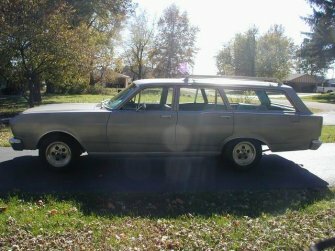 My exhaust and Alignment guy Steve Malone called me up one afternoon and said "I got a 66 Falcon Wagon here you might want to look at." He added " I think you could pick it up for about 2 or 300 bucks! My first mental image wasn't very good at all! I agreed to stop by and take a look . 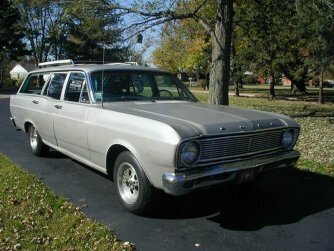 It was a 1966 Falcon Futura 4dr Station Wagon, 289, 3speed Cruise-O-Matic Transmission. Body was in a lot better shape than I had imagined. Driver floorpan had a basketball sized hole in it. I bought it for $250.00 bucks. It was a father son project that went sour. The kid left it on the side of the interstate for more than 3 days, and the back window and passengerside rear cargo window had been smashed out, exhaust was bad. It started and drove out fine. Everything worked including the dome light & cigarette lighter! First thing I fixed was the glass, patched the hole in the floorboard. 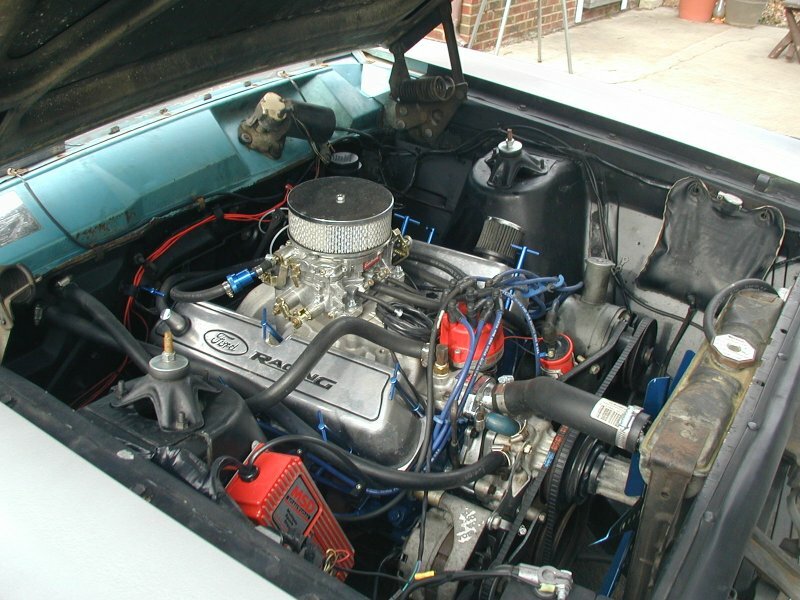 Then, I put dual exhaust through Flowmaster 30 series on it and it sounded great. But with the exhaust quieted down, I was able to hear the main bearings chatter. So, I have swapped out the 289 for a 306, borrowed the wheels off of the "Dirty Bird" and drive Jane on a daily bases. "Remember Success is a Journey not a Destination"